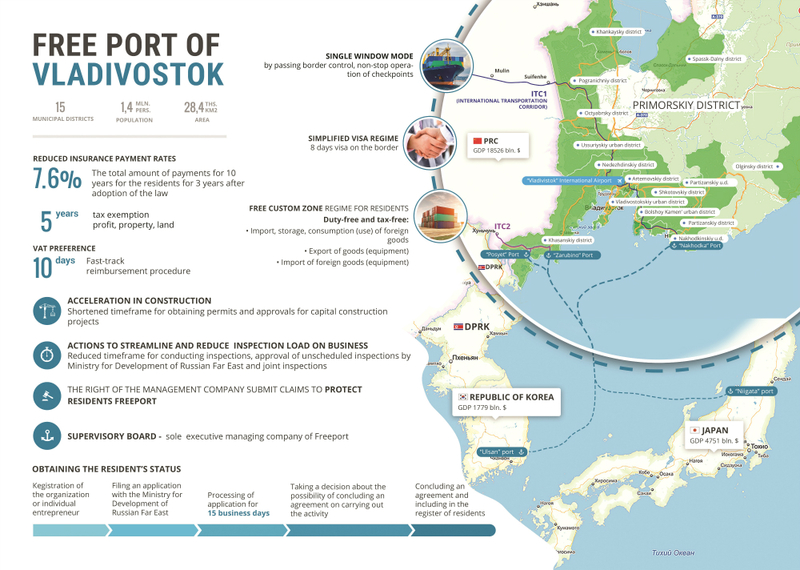 Russian President Vladimir Putin signed a law on the establishment of the Free Port of Vladivostok on July 13, 2015. The law will come into force 90 days from the date of signing. The city will enjoy free port status for 70 years. Under the free port regime visitors to the city will be allowed to obtain a visa on arrival for 8 days. There will also be a customs-free zone and tax incentives for companies operating in the zone. Russian President Vladimir Putin signed a law on the establishment of the Free Port of Vladivostok. The law will come into force 90 days from the date of signing.